Picture is of a Benthosuchus sushkini amphibian skull fossil. It dates to the Triassic Period. Fossil found in Scharzhenga River of Vachnevo Russia. Extinct creature is a distant relative to today's salamanders and frogs. It lived in rivers and lakes of what is now eastern Europe. 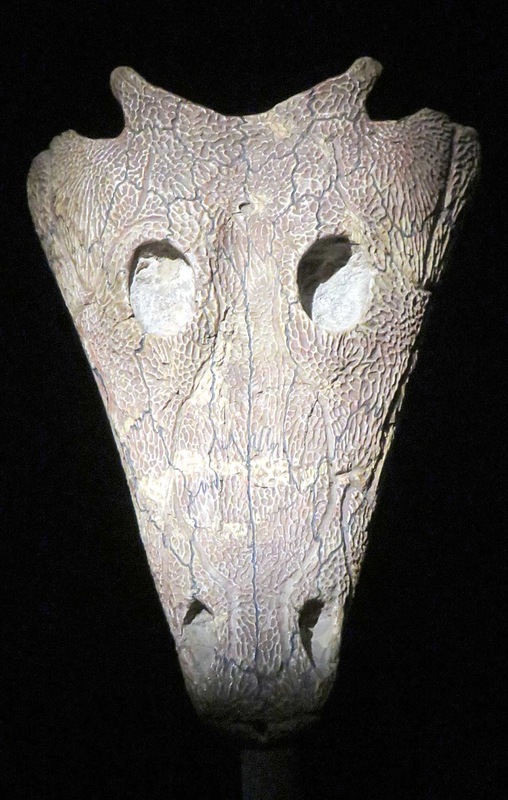 Fossil on display August 2016 in Natural History Museum of London, England.